My day starts with a cup of coffee, and this cup mostly fulfils my daily requirement for caffeine. Long gone are the days of instant coffee and now I do brew my own.F or this purpose I mostly rely on two of Bombay’s best coffee shops that I know of; namely Philips Coffee and Tea and Mysore Concerns (The Coffee People since 1939). Both shops I discovered quite accidentally. Philips Tea and Coffee has registered office near Khadi Bhavan on D. N. Road in Fort. Naturally curious I enquired, but there was no sale there, and they guided me to a Sale store down the lane towards Strand Book Shop. 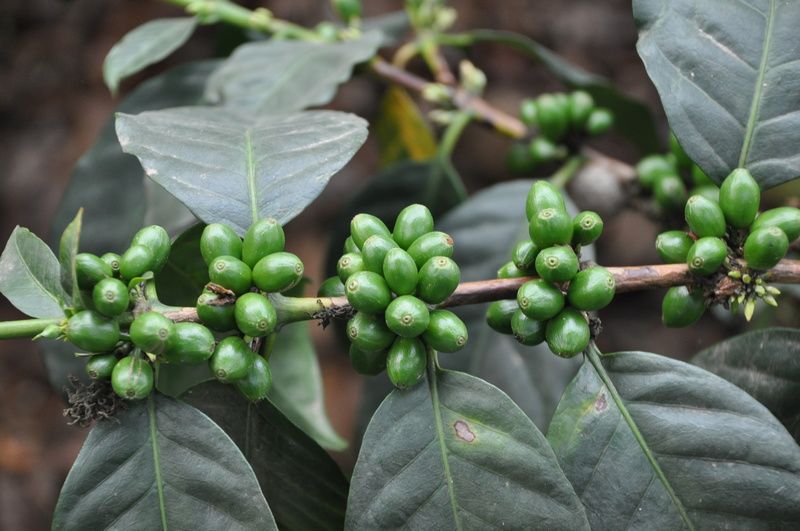 There are two varieties of coffee beans available with them the Highlander and Peaberry. Peaberry which I prefer is priced at Rs. 420 a kilo and Highlander is a little low, maybe Rs. 380. The best part is that they grind the beans just in front of you and the aroma that is generated is too good to be described in words. 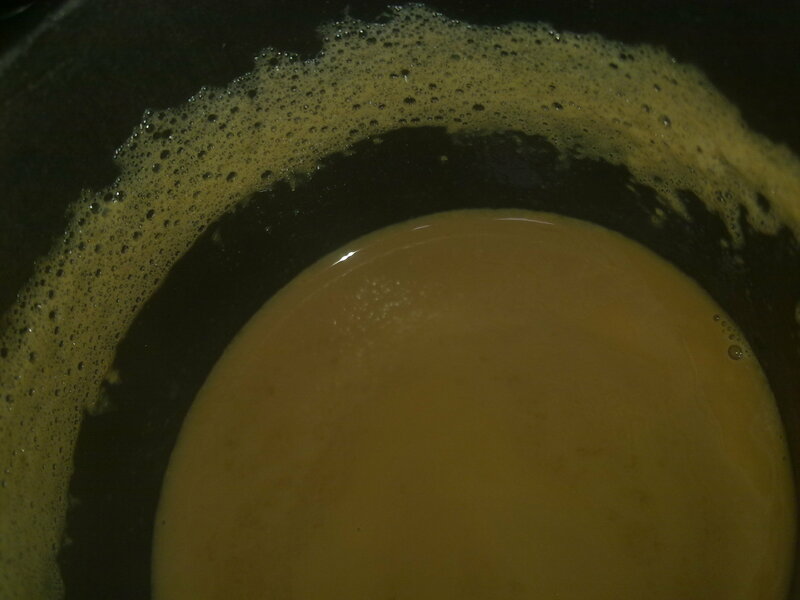 Since I have a “fussy coffee machine” it is not very happy to brew when the powder is too fine, so they grind it as per my requirement, a bit coarse. They have chain of shops throughout Bombay, I mostly take my stock from the Chembur which is close to where I live, but sometimes also from the Fort shop, which is where I visit to hunt for books. They also sell a variety of teas and stock a few magazines many of them Mallu. 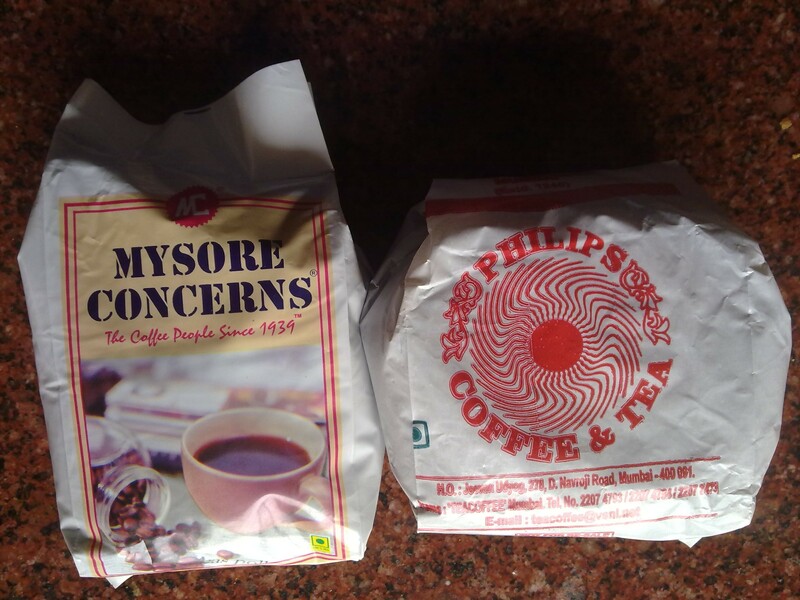 The Mysore Concerns shop I discovered quite weirdly. 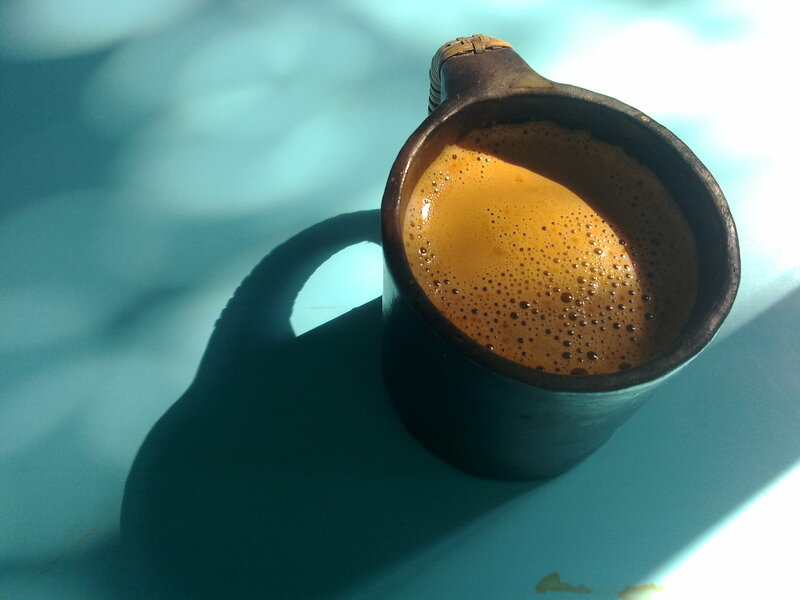 I was on my BEST-bus tours of Bombay some years back, and suddenly near Maheshwari Udyan or King’s Circle I smelt coffee. It was a strong one. And just as the bus passed over it went away. Anyways I was supposed to get down at the stop, as I was on a book hunting mission. I just could not resist myself from finding source of the smell. 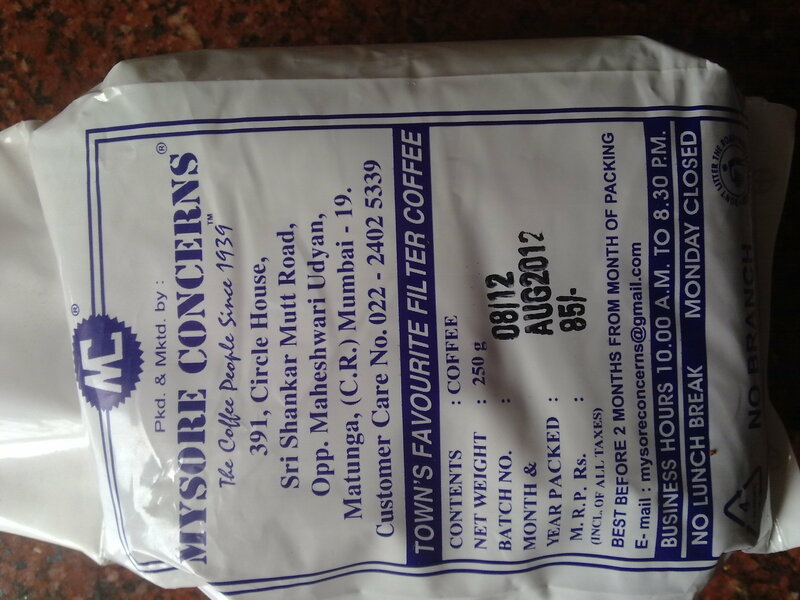 And the source turned out to be the Mysore Concerns shop, which keeps on grinding coffee beans throughout the day which produces aroma which wanders along the streets. They also sell Coimbatore butter which I have never tried. But this was too good to resist. The price is lower as compared to Philips Rs. 340 per kilo and AFAIK they do not have any variants in the coffee they sell. But going to Matunga all the way to get coffee was not practical many times, but then someone told me that you get it in Chembur too. Although the pack says there is NO BRANCH as opposed to Philips people. I have collected quite a number of different cups ~ 20 for the morning coffee ritual, and the milk is mostly got from the canteen, I do not as yet like black coffee, I want it with lots of milk (preferably buffalo) and no sugar. 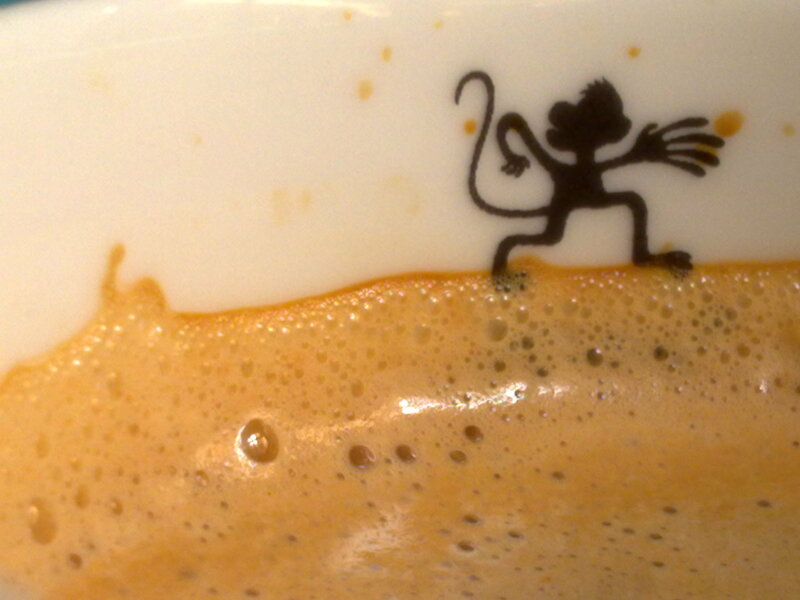 Some of the more costly ones are from Chimp and the logo of the brand a Chimp printed on the inside of the cup seems to enjoy surfing the sea of coffee as much as I do. 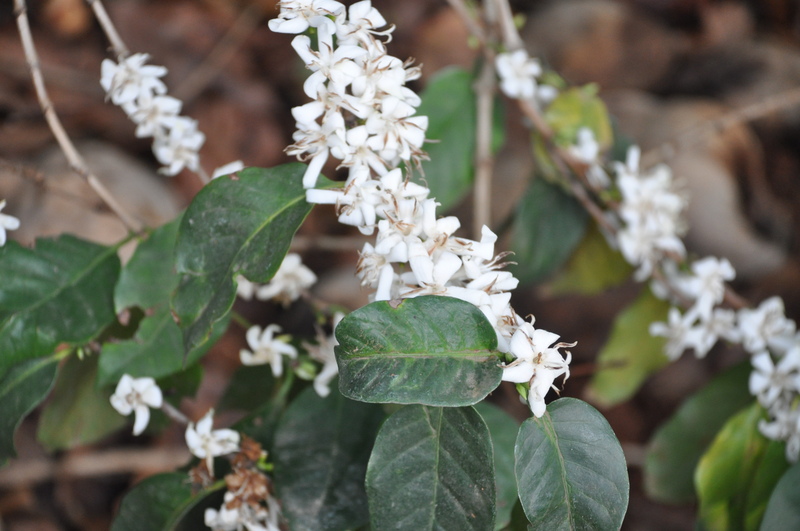 I had a fortunate visit to a spice garden which belonged to a friend near Bangalore, and I saw there coffee plants ,the green beans and the fragrant white flowers for the first time. They tell me that till you roast the coffee beans you don’t get the aroma of coffee from any other part of the plant. 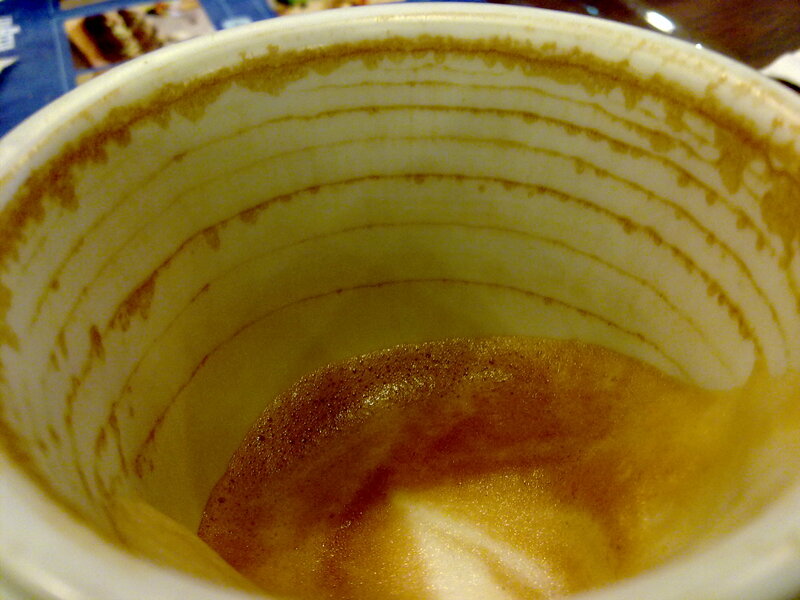 And interestingly the science behind the coffee rings, though not the above one, is explanied. This entry was posted in bangalore, cst, damitr, delight, flowers, India, mumbai, old book shops and tagged bombay, caffeine, coffee, cup, mumbai. Bookmark the permalink.